Crowdfunding has become one of the most common ways people give. The dynamics of online charity are very different from traditional charity and philanthropy, making it easy for those with a good pitch—and good connections—to raise money quickly. And while an effective crowdfunding pitch often looks similar to a good old-fashioned ask, the scope can be broader and reach a larger segment of donors. Digital crowdfunding hasn’t been around for long, and data is still sparse. Last month, the Pew Research Center published a report on “the new digital economy” surveying the ways Americans interact with sharing and on-demand services. The report contains a detailed section on crowd giving, shedding light on who crowdfunds, and what people think of the method. Among those surveyed, Pew found that 22 percent of American adults have contributed to a campaign on sites like Kickstarter and GoFundMe. That’s about one in five people, and among those who haven’t contributed, the majority know what crowdfunding is. Only 3 percent of American adults have actually created a crowdfunding campaign, with younger women more likely to do so than older women or men. Demographically, the crowdfunding universe tilts toward female and white donors. Bigger disparities include age (the young favor this method), education (more college graduates give), income (more well-off people contribute, though the $30,000-$74,999 bracket isn’t far behind $75,000+), and place of residence (more city folks give). We should keep in mind that crowdfunders are nothing like big foundations. They don’t engage in “strategic giving” or demand regular reports. Crowd giving is an informal emotion-driven affair, and most contributors don’t give regularly, with 87 percent stating they’ve given to five campaigns or fewer. As you’d expect, contributions from the plebeian class don’t stack up to the war chests we usually discuss at IP, with 62 percent of donors reporting largest individual contributions of under $50. Only 3 percent of those surveyed gave more than $500 to any one project. That’s why crowdfunding for tragic and well-covered stories like the Orlando shootings is so successful: A lot of people care deeply and want to register those feelings. They want to demonstrate solidarity and support, motives that unite a $30 crowdfunder and a wealthy couple who give a million to research the condition that claimed their child. Most crowdfunding projects aren’t well covered and don’t affect that many people. But within family and friend networks, they can be a powerful way to raise funds for an individual in need. These campaigns often benefit sick or injured people, but they can also include the millennial stereotype of an erstwhile world traveler in need of cash. A full 68 percent of American crowdfunders said they donated to a person in need, and a large majority of that money went to family, close friends and acquaintances. But 28 percent of those who donated to a person said they didn’t know their beneficiary. The lesson: Asking never hurts and you never know who’ll find your cause worthwhile, especially with a heartfelt pitch. There are some habitual crowdfunders. Among those who have given six times or more, reasons for giving expand beyond support for friends and family. According to Pew, 65 percent of that segment gave to fund a new product or invention. Greater percentages of frequent donors also supported school projects, creative artists, and startup businesses. That field also tilts male. While women are more likely (by a small margin) to support crowdfunding projects, men give more often and support a wider variety of campaigns. Younger men, especially, have shown a willingness to help fund projects relating to new products or inventions. Finally, let’s look at some donor attitudes. 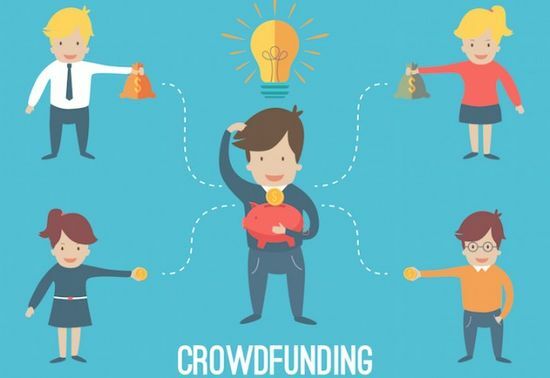 Seventy-seven percent of those surveyed took the pragmatic angle, saying that crowdfunding is a simpler way to raise money than getting a loan or a grant. But 84 percent said crowd campaigns raise attention for projects that might not get any. And 87 percent supported the most me-focused statement: that crowd giving helps contributors feel more connected to the projects. An online donation is like a vote of support, useful to the beneficiary on a financial level and to the donor on a psychological level. On the negative side, donors acknowledged the idea that crowdfunding sites contain pleas from a lot of “frivolous” projects. They rejected the notion that crowdfunding takes attention away from more deserving charities. We're inclined to agree. Besides, crowdfunding targets a very different range of donors than traditional charity fundraising. Help Wanted: What Will It Take to Make Workplace Giving More Effective? Can Crowdfunding Bring New Funding to Environmental Projects? Campus Crowdfunding: A Way To Solve the Young Alumni Engagement Puzzle?